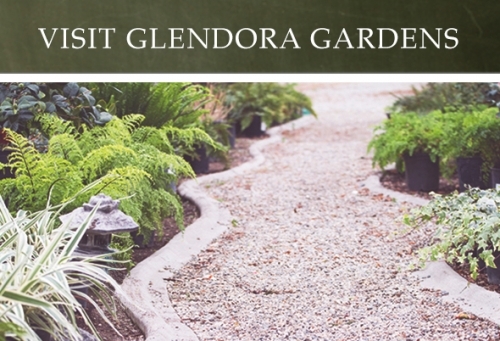 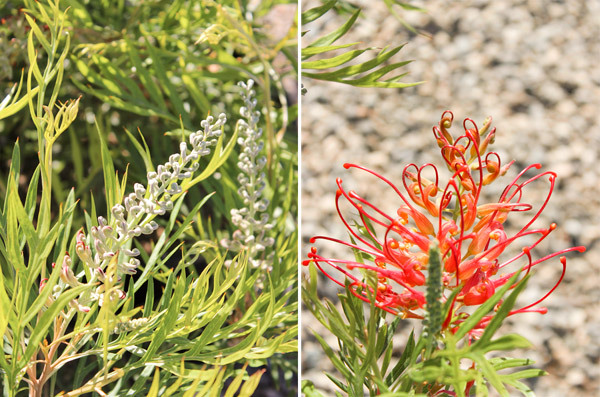 This week's featured plant is the beauitful Grevillea! 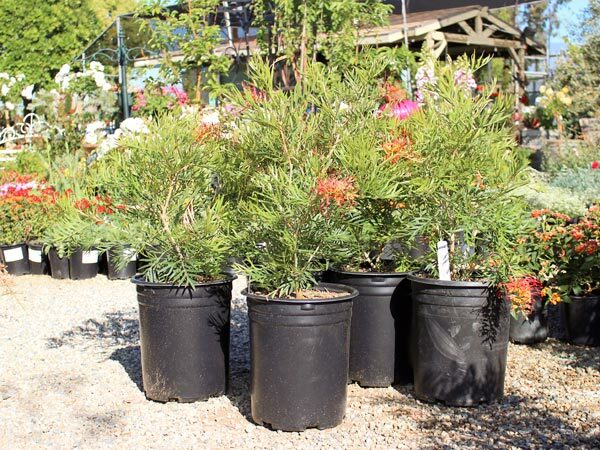 This very showy shrub procudes its long, spectacular flower clusters all year, heaviset in late winter. 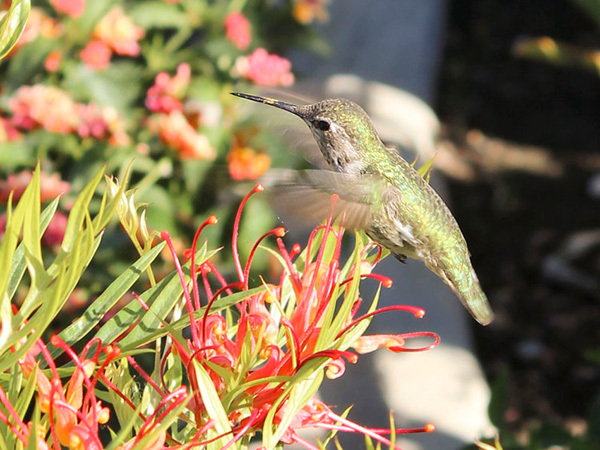 Hummingbirds go crazy over the heavy nectar production. 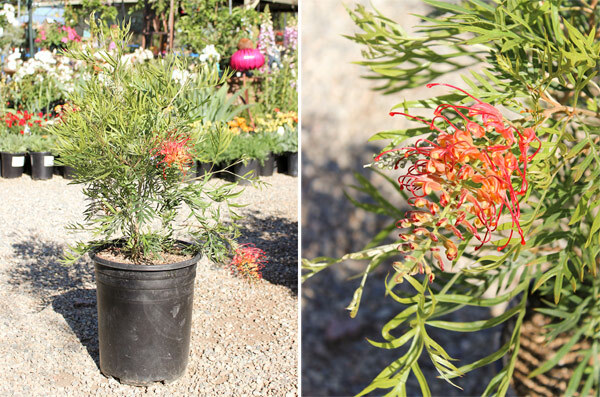 Grevillea grow to 4-5' tall, 6-7' wide when unpruned.